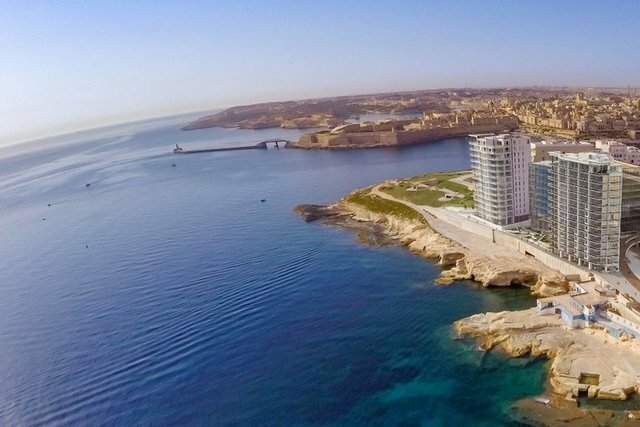 Brand new luxury seafront apartment forming part of this lifestyle development crafted by one of the island’s leading architectural and design firms. Light, practicality, elegance and good taste merge to create homes that will suit the most discerning of clients. Enjoying sea views, this 205 sqm 6th floor property comprises an open plan kitchen/living/dining area leading out onto a spacious terrace, 3 bedrooms with walk-in wardrobe and en-suite, and a guest toilet. Amenities include a communal waterfront pool, fitness facilities, cafés, restaurants and underground parking.